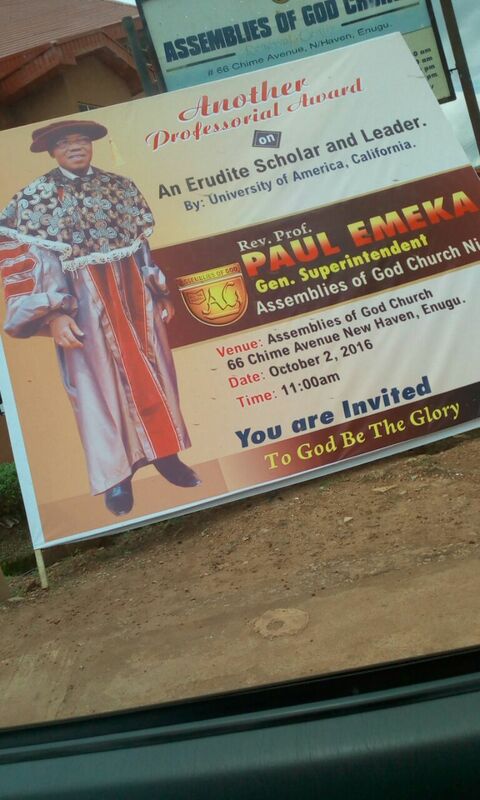 Desperate Certificate Forger Former General Superintendent of Assemblies Of God Nigeria Chief Dr Paul Emeka will be bagging another FAKE Professorial Certificate in Enugu Tomorrow Sunday 2nd 2016,PUO REPORTS can authoritatively Report. 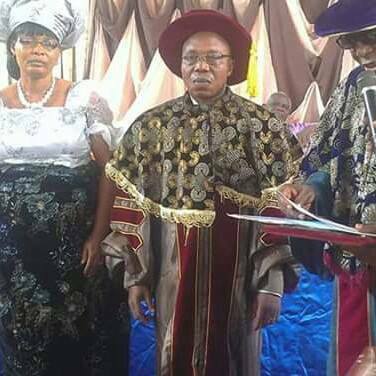 It is not yet clear if the authorities of the University of America are aware of the latest move by the Nsukka Born Political Pastor who is standing trial for forging a University Of Derby Professorial Certificate. 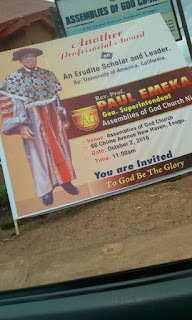 When PUO REPORTS Correspondent visited Assemblies Of God Church No 66 Chime Avenue New Heaven Enugu,Banners had already been strategically Positioned at the Church Gate.